Posted in: Weekly Post. 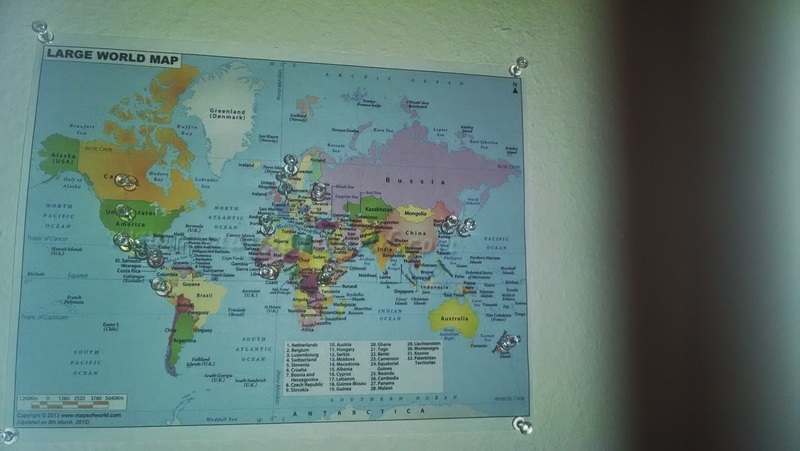 Tagged: game, Giving, Jesus money, map, world. Ever since I was a kid, I would make games out of anything I did. When I had to clean my room, I would start at the door and work my way from one side of the room and loop around back to the door. I would make a train of all the stuff that either went somewhere else in my room, the trash, or somewhere else in the house; piling them up in groups based on where they went. As I cleaned, I would move the train up with me. It took longer, but I enjoyed it, which was a good trade off :) So of course, I had to make a game out of giving. If you have been following my blog, you know that we set aside money each month above our tithe to whatever God calls us to. We started out with $20 a month and increased it by $5 a month. We have stopped increasing this amount and currently sit at $150 a month. It is so much easier to do when you increase it by so little each month! $5 more a month is easier to swallow then $150 each month. I wanted to play a game with this money that would help us see our global impact of this giving. 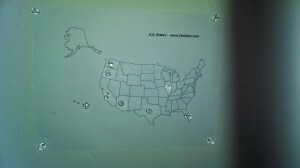 To do this we have two maps, one of the US and one of the world. 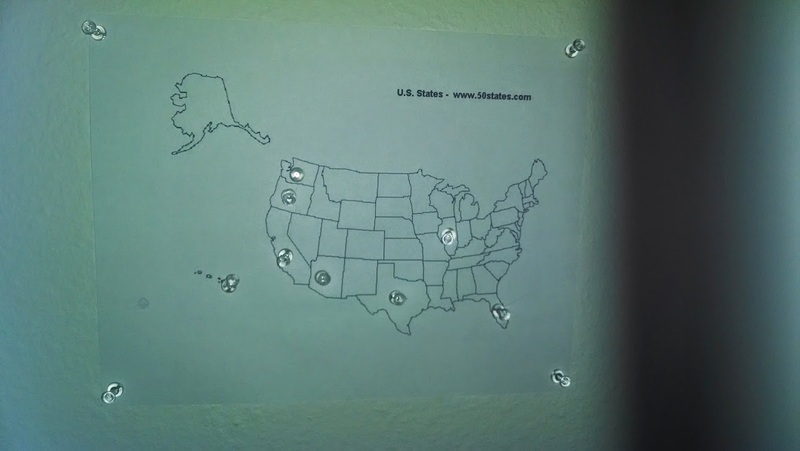 The next step is to start listing who we gave to for each thumbtack. Anyway, I though I would share to help those of you out there who have trouble giving or just want to make it more interesting.